We’ve been following Google’s awesome self-driving car since the search giant broke the news last fall that it was developing an autonomous, robotic car that drives itself. By using sensors and specially designed artificial intelligence software, the automated cars are supposed to sense objects around them to be able to avoid them, thus making the ride safer and more fuel efficient. But last week, one of Google‘s self-driving cars rear ended another Prius, which set off a chain reaction, ultimately involving a total of five vehicles. As it turns out, a person was manually driving the car, but still — what does this mean for self-driving cars? The accident, and the questions surrounding it, certainly make you wonder if it’s possible for robot vehicles to actually be safer conventional driving. During every Google test drive of one of the self-driving cars, there is a person behind the wheel who can take control if something goes wrong. 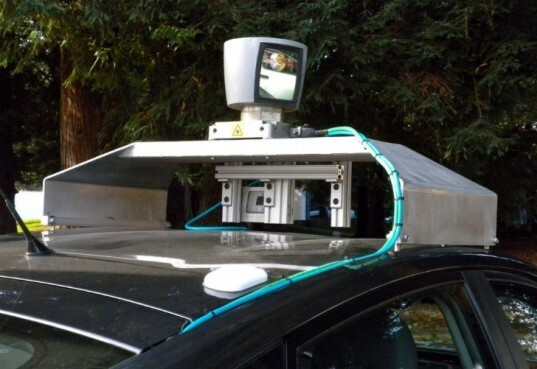 Google told Business Insider that when this car crashed, it was being manually driven by a person. But as Jalopnik points out, if there’s always a person in the car, how would we really know if it was being manually driven or not? Autonomous cars are still years away from mass production, but Google is steadily pushing forward to get more of their self-driving cars on the road. Just recently, they convinced the state of Nevada to grant self-driving licenses so they can put the cars on Nevada freeways. While the end goal is to improve the driving experience and make personal vehicle transportation safer and more efficient, some also see the technology as the ultimate driving distraction. It will take a huge conceptual leap forward before people accept robot cars as the norm, and any errors along the way — like this crash — are bound to make us even more wary. I respectfully have to disagree with the author and would like to say the article missing the entire point. Whether it is a human or machine driver driving the car has no extra bearing on other cars. Earlier concepts of self driving had given more priority to cars talking to each other to get things to an optimum level of safety, speed and efficiency (e.g. Automated Highway systems). Those required all the drivers to be computers in order to avoid any confusion or error. In stanford/google concept, each car has a replacement head that can assist in driving your car. So if a user switched of his automatic driver and went manual, it has no bearing on the safety of others on the road (or off the road pedestrians). I would be more worried about how a car might adjust to a rear ending or a careless accident. Consider an accident happening in front in a fast lane.You can hear the sound of screeching rubber and may/ may not be able to look further ahead and take the gut decision to stop or move away. How does the car do it. And when the driver-less car is good enough would the driver be careful enough to look for errors and help it. I think lazy reader covered most of the other points very well. I for one am hoping this comes out soon, as I would to some day like to get wasted on a weekend and still take my car. Drunk driving causes most of the accidents and this could solve most of those issues. Again you have no guarantee that a drunk driver will go automatic, he might wish to drive or race, just because he is drunk. But that is human idiocy that unfortunately nobody has found a technology to cure with. How many of hundreds of thousands of hours have these self-driving cars logged without an accident? If this truly is the first (or one of the first) accidents, it's still many times safer than humans driving. Driverless cars do not drink alcohol or drive while under the influence of it. They don't text while driving and don't get tired or bored as a result of highway hypnosis. No one is saying this very car is gonna be available or sold on the market. This is merely a prototype and technology demonstrator. So if it would make buyers reluctant to buy first generation just like the first generation iPod when the second / third generation was smaller and more convenient. We don't need every car in America to be automated just a fraction say 10-20 percent to drastically reduce congestion and idle time. Once driverless cars are on the road this will be truly revolutionary. For one, regardless of age or physical impairment nearly anyone between the ages of 9 to 99 will be able to get a ride to go anywhere they need to go and they won't need a license. Second of all traffic will drastically decline. We'll be able to fit 3 or 4 times as many vehicles on the roads than before. Most traffic congestion is a byproduct of rush hour trends; but throughout much of the day they're seldom congested at all. 90 percent of the cars in America are parked throughout the day. Another cause of congestion of slow human reaction time. Computers have faster reaction time as they don't rely on judgment or bias to make crucial decisions just sensory input. 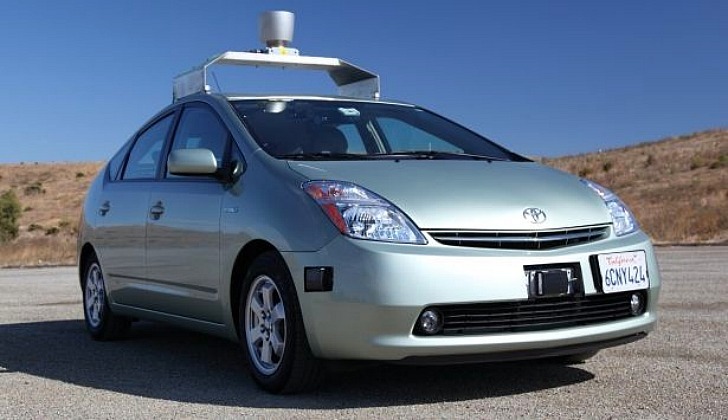 About 90 percent of the technology needed to make self driving cars already exist. Systems like Lane Departure Warning, Information displays, adaptive cruise control, GPS, visibility aids to alert blind people, automatic parking, sensors, etc. The only two challenges left is software or a dedicated operating system and bureaucratic red tape which is ubiquitous in anything government. A lot of cars today have an option called adaptive cruise control or ACC, which uses radar or laser sensors to measure an appropriate distance to keep from another car. It has software to apply the brakes or gas pedal to follow behind other cars on the highway and do so at closer distance more safely and alerts you when to take needed action. This allows more cars to be on the highway per hour. Right now the technology is found in luxury cars or higher end vehicles but is seldom used mainly because they don't advertise it much. Automakers should work to make the technology cheaper so it can be added to nearly any car whose typical cost is less than 15-20 thousand dollars; since it may only be a 1,500 dollar option, whats that for a 15,000 dollar sedan. Most of the advanced technology found in luxury cars eventually finds it’s way into generic models in as little as a few years such as original cruise control, automatic windows, dashboard navigation systems. It’ll be worth spending an additional sum on a car with this semi-driverless technology. Once 10-20 percent of cars on the road use ACC on the highways regularly, congestion will be nearly cut in half and fuel economy will significantly improve because we wont idle on the highway so much. Interstate Highways only account for less than 2 percent of all our roads, but account for 25 percent of our traffic and miles driven. De-congesting those major highways will lead to big fuel savings and money savings, and the cost would be absorbed by the drivers (the ones responsible for making the roads congested in the first place) then we can focus more on our state highways and avoid the huge public costs associated with building more freeway lanes or bolstering attempts to persuade people to take transit which is in truth more expensive and less practical. We should push the initiative for driverless cars or at least semi-driverless cars. Why would anyone spend 60-90 cents a passenger mile on a bus or rail when we can pay 25-30 cents a passenger mile getting around in a car. You wont even have to own a car to get around. The automated cars would act like vending machines where you simply pay a small fee per mile and basically be provided with door to door transportation. For most cities conventional mass transit (light rail and metro and streetcars) is gonna be obsolete not too long from now, It's all ready obsolete financially anyway so why push forward with mass transit programs when if we can push an agenda for driverless cars which will outperform transit in terms of convenience and time. As stated in the article, this accident was caused by a human driver... if anything this crash highlights the greater safety of self driving cars by eliminating the variable of human error. The article is written with a strangely twisted bias. We've been following Google's awesome self-driving car since the search giant broke the news last fall that it was developing an autonomous, robotic car that drives itself. By using sensors and specially designed artificial intelligence software, the automated cars are supposed to sense objects around them to be able to avoid them, thus making the ride safer and more fuel efficient. But last week, one of Google's self-driving cars rear ended another Prius, which set off a chain reaction, ultimately involving a total of five vehicles. As it turns out, a person was manually driving the car, but still -- what does this mean for self-driving cars? The accident, and the questions surrounding it, certainly make you wonder if it's possible for robot vehicles to actually be safer conventional driving.